Three days after 11 Jewish Community Centers across the United States received phoned bomb threats, in the fourth such wave since the start of the year, the Uptown Jewish Community Center in New Orleans was evacuated briefly. Around 9:15 a.m. the JCC received a recorded phone call about a bomb. Leslie Fischman, executive director of the JCC, said the staff followed protocol and evacuated the building. Fischman, who was at a meeting in Metairie at the time, said the New Orleans Police Department was called, after which the Department of Homeland Security and the Federal Bureau of Investigation were also brought in. A sweep of the building was conducted, and the facility was declared all clear about an hour after the initial call. As of mid-day, this was the only JCC to receive a threat today. In the previous waves, as many as 27 JCCs were called simultaneously. A Jewish Day School in Durham, N.C. and the Anti-Defamation League’s national office in New York received threats on Feb. 22. In all, 53 JCCs in 26 states have received 68 calls in the four waves, which have taken place on Jan. 9, 18 and 31, and Feb. 20. Birmingham’s Levite Jewish Community Center received calls on Jan 18 and Feb. 20. Nashville, Houston and Atlanta are among JCCs in the region that have also been threatened. All of the threats have been hoaxes. Fischman noted that with the other 53 JCCs receiving threats, they practiced their procedures in case they were next. New Orleans Mayor Mitch Landrieu tweeted that the FBI is investigating the threat against the JCC. “Be clear, anti-Semitism will not be tolerated in NOLA,” he said. Lindsay Baach Friedmann, education director at the South Central Region office of the Anti-Defamation League, located in New Orleans, said this was the first incident of its kind in their region. 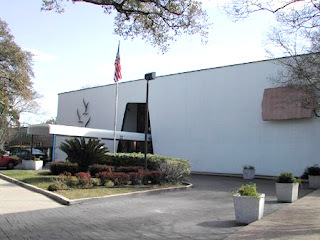 The ADL region includes Louisiana, Mississippi and Arkansas, only the New Orleans area has Jewish Community Centers.